Good morning friends and Happy New Year! This New Year's post is a few days early as I'll be on the road and visiting more of my family over the next few days. I'm excited for the New Year. A fresh start for me in so many ways. I'm looking forward to seeing how God works in our lives this year. We have some goals and plans to work on together (hubby and I), and our own individual goals. Life is in constant change it can seem but one thing that has been a steady part of my life is my blogging. I so enjoy the opportunity to reach out and share with you all. I feel humbled and blessed that you come here and are a part of my life. I've met so many amazing women over the years and feel you all are truly my friends. I'm looking forward to starting my 17th year of blogging. Kind of crazy to believe that it has been that long! I will be back to my blogging as soon as I get home. I wish all a happy and blessed New Year! Good morning! I hope you all had a wonderful Christmas. Ours was very nice. It was a small group for us. There were 12 of us here altogether. We enjoyed family time and food. 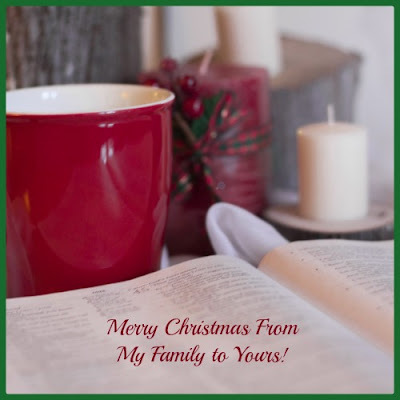 Two of our boys spent the night and on Christmas morning (we had our family celebration on Christmas Eve) we had a relaxing time talking, drinking coffee and eating leftovers and Christmas goodies. I was able to talk with my oldest daughter in Kentucky and got tons of pictures of her children. These are her kids in the picture below. I so wish we could have spent the holiday together with them, but such is life when your children live 3000 miles away. We're hoping next year they can be here for Christmas. Merry Christmas! I want to wish you and your families a blessed holiday time. I missed a couple blog posts last week as I was working hard to finish up Christmas gifts, wrapping, shopping and all the details that go into Christmas. My family (the ones that live locally) will be here celebrating this evening. The Christmas decorations are up, the food is cooking, the wood stove is warming is making my home cozy and I'm excited for my family to arrive. In the end, it's not the food, it's not the gifts, it's remembering the greatest gift of all, the baby Jesus, sent to this world to give salvation to all who believe in Him. I realized as I was planning my meals this week that this is the last full week before Christmas. The holiday will be here before I know it. I need to turn my attention to planning our family's Christmas dinner. Monday: Sausage, rice & veggie skillet dinner. I cook the rice separately and while that is cooking I fry up a pound of Jimmy Dean sausage along with a chopped onion, a couple sliced mushrooms, 2 or 3 mini peppers and a handful of chopped kale or spinach. When the rice is done I add that to the sausage and veggies. You can add as little or as much rice as you'd like depending on how many servings you want. I typically have a green salad on the side. Good morning! It's time for my weekly grocery haul and I'm sharing my recipe for chai tea mix. It's perfect for this time of year and makes a nice gift as well. I restocked on some canned good for the pantry: cream of mushroom soup, green beans, and green chiles. I also picked up a few packages of Ramen noodles. I like to use them with Asian type meals and they are the least expensive way to buy the noodles. I throw out the seasoning packet and do my own seasoning instead. Tortilla chips were also on sale so I picked up 2 bags of them. The regular fruits and veggies and some breakfast cereal. Good morning friends! Happy Wednesday! :) How is your week going? I hope it is going well. I seemed to spend most of last several days finishing up my big crocheting project and I'm happy to say I finished! Now it's time to get everything wrapped up and sent off to some of my grandkids (the rest are local and will wait here until Christmas Eve). The countdown to Christmas day is on and I need to get things done. Yesterday I had the last appointment of the year with my eye surgeon. He said all is looking great and is happy with the results. He does want to see me in 6 months just to monitor my eyes and make sure they are not starting to drift. But for now I can close the chapter on my eyes. I'm very happy and thankful to move on. Over the weekend we had our first snow and ice fall. It wasn't much, just a dusting, but so pretty. ..
Good morning! How are you today? I hope you're doing well and looking forward to a brand new week. It took me a couple days to come up with a menu. Don't know why, just nothing sounded good to me. I think I wasn't in a foodie type mood because I've been busy with other things. But that is the time when I can most appreciate a planned menu! Then I really don't have to think much about it after that. So here is what I came up with for our week..
Tuesday: Split pea soup w/ little smokies, garlic toast, salad. I will make my split pea soup in my IP. You can find my recipe for that HERE. 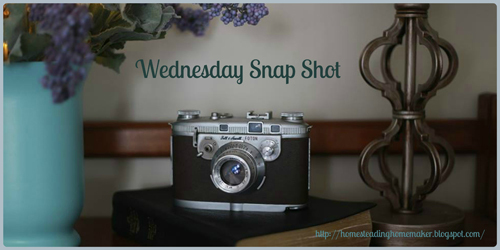 Wednesday: Pizza – I have one more pizza in the freezer to use. I'll serve that with any soup leftovers and a salad. Happy Friday! I hope you've had a great week. This week on my grocery haul I only had to stop at Costco and pick up a few things. We were blessed with a big bag of Cuties and a bunch of bananas from my hubby's work. They had leftover items from a Christmas party. We also got one pizza which we ate last week. I also had a few apples left and oranges from the big box we purchased a couple weeks ago. I was all set for fruit and only needed a few veggies but of course ended up with a bit more.. They were demoing little smokies and I picked up a package of those, spinach for salads, grape tomatoes, Pub Mix some baguettes and a rotisserie chicken. I picked up a few non food items too..
Good afternoon friends! It's another late afternoon WSS. I had a doctors appointment this morning and with rush hour traffic in the city it can take over an hour to get there. So it was an early morning for me. I'm home now and getting organized with the rest of my day. It's been a good week so far. Over the weekend my youngest son came over and helped me set up my tree (I need to get the top straightened out a little better :). He's always so willing to help his mom, warms my heart. I haven't yet put any decorations on it. I figured I'd give my cat, Pila, some time to get use to the tree. So far she's doing pretty good. And I'm thinking about waiting until my grandchildren come up the next time and let them decorate. Good morning! This month is always a hectic month for me as we start getting closer to Christmas and I'm trying to finish up my projects. Once again I'm keeping the menu simple and making recipes that are tried and true. 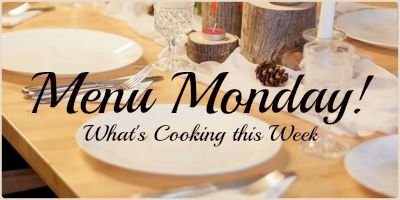 Monday: Baked spaghetti, french bread and a salad. Simple enough and I should have some leftovers for later in the week or for the freezer. Tuesday: Roasted chicken (if I go grocery shopping it will be a Costco rotisserie chicken), pasta (of some sort, haven't figured that out yet), and a salad. Wednesday: Pulled pork sandwiches, coleslaw and roasted butternut squash soup. Last week I made bbq pork and froze the leftover pork. I'll pull that out of the freezer for the sandwiches. Friday: Chili, tortilla chips & salsa and a salad. Good morning! 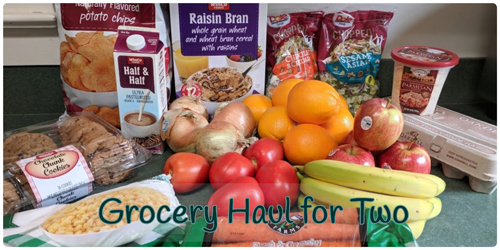 It's time for this weeks grocery haul for two. My desire in posting my weekly grocery haul is to give an idea of what we buy, eat and how much that costs for two people. When I went searching for this kind of info I had a hard time finding it so I thought it would make a nice addition to my blog. Groceries are a big part of the budget and it also helps me to better focus on my spending as well. I found one of the most difficult thing about becoming an empty nest was trying to rethink how much food is required when you only need to cook for two people. It's a difficult transition to make and I found myself buying way more than my hubby and I could eat. Now that it's been almost a year of being an empty nest I'd like to think I'm getting a better handle on it all and sharing this with you helps. I hope you find it helpful too. My first stop this week was Costco.